University of Wisconsin-Milwaukee will make every reasonable effort to approve written requests of its employees for alternative work patterns whenever appropriate and in a manner consistent with the operational needs and provisions of this plan. Complete the Alternative Work Patterns form for consideration. To add your information to the Directory, or to update your current information please fill out the Directory Submission form. Hourly employees hired by PSOA are required to log their hours using the HRS Timesheet (after activating their ePantherID) found in the UW Portal. For instructions please see the following KnowledgeBase article. Entry deadlines and pay dates can be found on the pay dates webpage under the University Staff and Student Employees heading. Supervisors of hourly employees are required to approve time worked on a biweekly basis. Entry/Approval deadlines can be found on the pay dates webpage under the University Staff and Student Employees heading. Login to the UW Portal. Review ‘Timesheet’ entry. Any Exceptions should be cleared, and missing punches submitted. If no corrections were made, you can proceed to step 4. If corrections were made, you’ll need to wait a few hours for the changes to cycle through the Time Administration process. Tip: We recommend adding both “Timesheet” and “Payable Time” to your “Favorites” within the system for easier navigation in future. Access rooms after-­hours via digital lockbox by entering your individual access code (Employee ID minus first two zeros – see paystub on My UWSystem Portal). If you don’t already have an account, visit the Event + Calendar Contributor Form to request access. You will receive an email from WordPress to verify your account. View the Use & Access Policies document for more information about our buildings and spaces. Gallery Guards, House Managers, and Building Managers must complete the House Management Report after events. Email psoa-hm@uwm.edu with any questions. To request or renew a Kenilworth Square East Studio, complete the KSE Studio Request Form. Fees are for occupancy and are not related to the size of the studio or whether it is being shared. Box Office fees and sales tax not included. All Lost & Found items are located in ART 203. Mailboxes are located in Art 203 and are sorted alphabetically by last name. Faculty & Staff Services Office student workers will be available on a limited basis to assist with departmental projects. Student Assistance Requests will be approved based on availability of student workers and scope of the project. Please allow one week for project approval and scheduling of student workers. Supply Purchasing Requests will be processed via the PSOA Faculty & Staff Services Office and Program Staff members. Please allow ample time for processing and delivery. Questions, please call 229-4947. Work with your Chair and Area Manager to identify your budget for your event. Contact the PSOA Marketing Department at least 7 weeks prior to your event (this timeframe allows for circulations no later than 3 weeks before the event, drafts include 2 weeks turnaround time, and there’s a 1 week buffer to allow for content and resources submission). Depending on the request, an in-person meeting might be suggested to identify all timelines, duties, and responsibilities. Please be sure to consider this into the overall timeframe of the project. 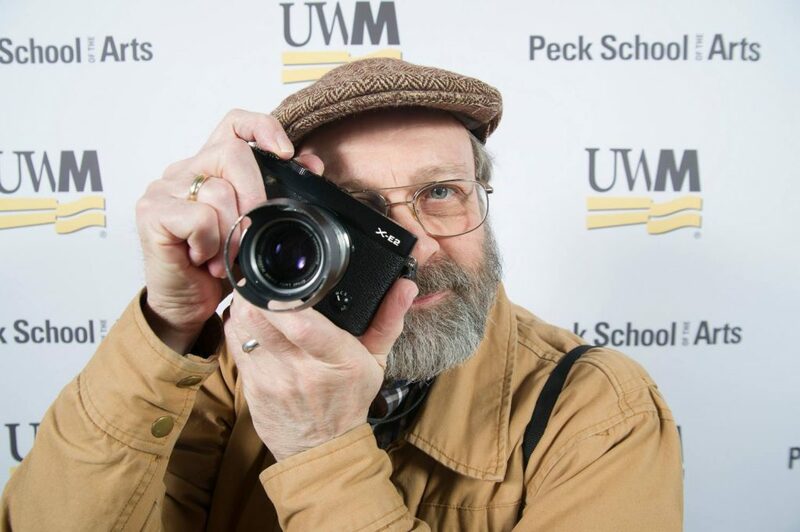 Please use the photo release form to acquire permission from individuals you may be photographing at your event who are not currently UWM students. This form is required should you like to use images publicly or within promotional materials. Please fill out the record & broadcast form to acquire permission from individuals you may be filming/broadcasting at your event who are not currently UWM students. Confirm pricing with your chair then complete the Envelope Order Form or Letterhead Order Form. Orders are fulfilled by the UWM Print & Copy Center. Download PSOA Letterhead to use electronically or print locally. Be sure to save as a PDF to ensure universal support and proper formatting. The UWM logo must be included on all publications/materials. Visit the University’s Branding site for more information on logo usage. Space permitting, the Peck School of the Arts logo should be included as well. In both instances the preferred full logo should be used when possible. When using both logos, UWM must always appear to the left or above the school logo and should be relatively equal in size. I have written my own press release, may I pitch it directly to journalists? Yes, but please copy psoa‐news@uwm.edu on each release so that we can keep abreast of your events and research. Request press contacts directly from the marketing office. I have written an Op-­Ed about a relevant current event that is connected to my area of specialty. Beyond local publications, how do I submit for possible national syndication? Outreach Coordinators lead department tours, connect you with high school teachers, coordinate high school visits, develop on-­campus workshops, share recruitment materials, offer expertise, etc. Requests for access to WISDM can be made to the Assistant Dean of Finance, Amanda Obermeyer (oby@uwm.edu), and typically take 2-3 business days for set up. The UW TravelWIse portal should be used for all travel related information. Through this link you are able to access Concur to book travel, access SFS to complete travel authorization & expense reimbursement processing, and view UW Policies & Resources. Visit the US Bank Travel Card site for information such as application, online setup, policy & procedure guide, etc. View information on UWM Purchasing Training and Policies & Procedures. Expense Reimbursements are to be completed through the reimbursement menu item found on the UW TravelWIse website. View Purchasing Card Information such as application, online setup, policy & procedure guide, etc. Purchasing Card transactions in need of reallocation (funding) should be emailed to psoa-purchasing@uwm.edu. If you received an electronic receipt, please forward that email with the correct funding. Otherwise, send the email with date, amount, and merchant of the transaction along with where the funding should be reallocated to. Machines are located for Faculty/Staff use in Art 203, Music 120 & Mitchell 371. Accessible after-­hours via digital lockbox by entering your individual access code (Employee ID minus first two zeros – see paystub on My UWSystem Portal).